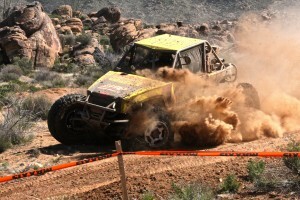 This year, Dirt Riot will host its exclusive weekend in Congress, Arizona. Previously sharing the weekend with Rock Crawling and becoming the Sunday show, Dirt Riot will now be a main attraction with PRO Qualifying on Friday night and fast paced racing all day Saturday. Racers can sign up and register on site during tech and registration Friday March 10th. Spectators are encouraged to come and enjoy the full day of racing with the gates opening at 8am, and the action starting at 9am until around 4pm. The awards ceremony immediately follows the final race on Saturday. Admission is $10 for adults, $5 for ages 8-15 with a parent, children 7 and under free and Military with ID get $5 off. There are vendors, food and amenities on site, and we encourage you to bring chairs and shade structures. There is camping available onsite.